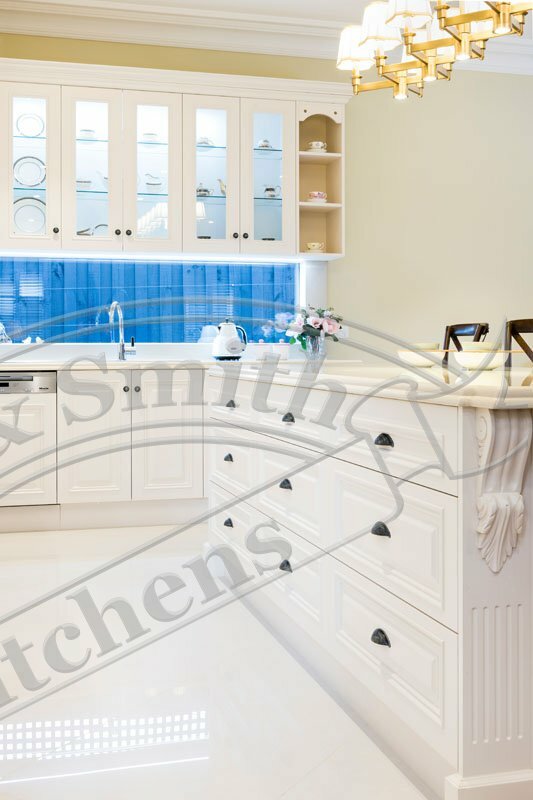 This classic Hamptons style kitchen sits beautifully in a Camberwell home filled with period features. 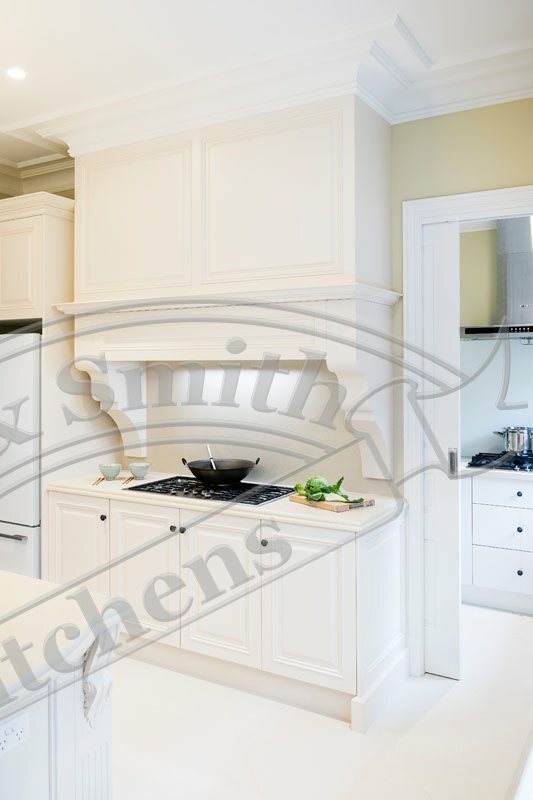 Hamptons style is popular in period homes where it is felt a modern kitchen might seem out of place. Clever measures have been taken to tie the kitchen into the current home. 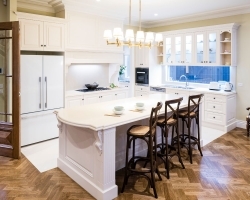 Provincial style timber stools pick up on colours in the timber passage doors and parquetry flooring. Likewise, bolection mould doors mimic existing timber work in doors and windows. 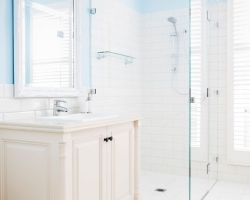 The Hamptons style can be defined as casual, classy elegance. 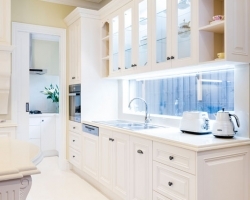 This kitchen packs it all in with ease, including a butler’s pantry. 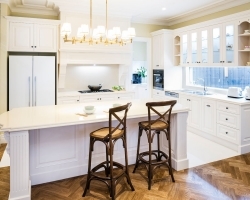 Many kitchens of this style include stools drawn up to the island bench. 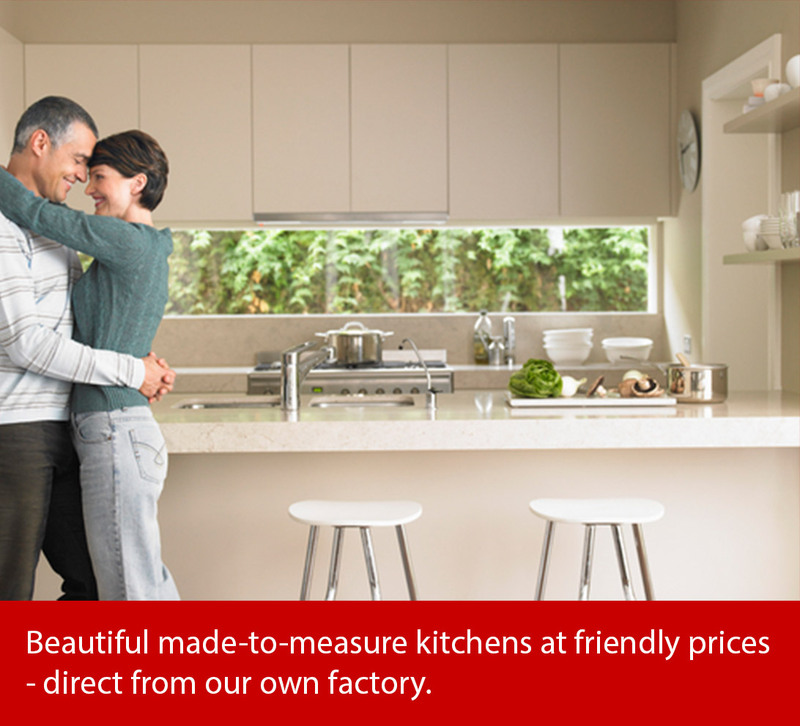 The epitome of casual style is being able to sip a latte in the kitchen – the heart of a home. 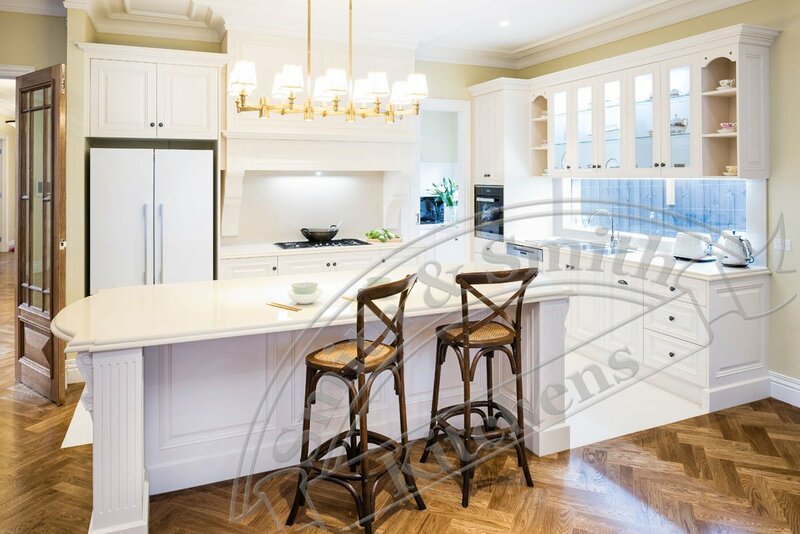 This island features double bull nosed engineered stone, bow ends, highly decorative corbels, reeding, and plinth skirting. It sounds like a great deal in writing, however, the features work together to create a weighty, yet elegant style. 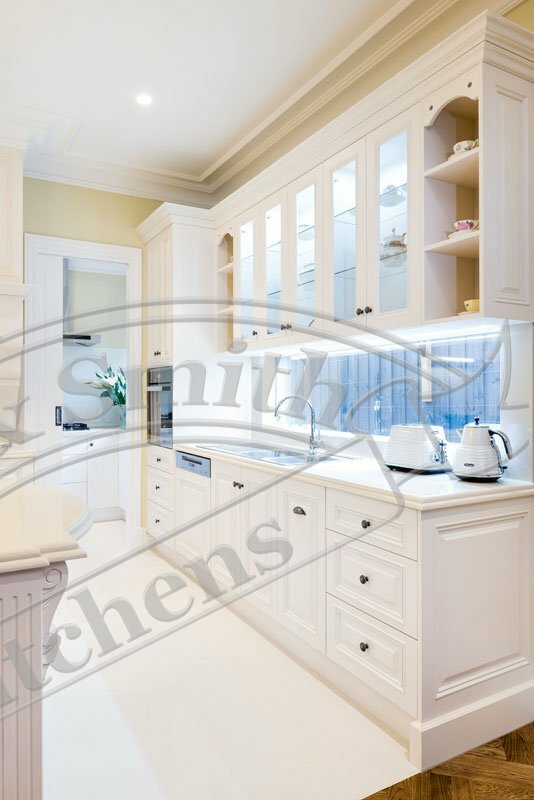 Canopies are a common inclusion in country style kitchens. 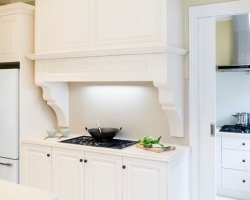 A full canopy would have been too heavy for this kitchen; a half-canopy provides the right balance with its minimal, yet curvaceous corbels and allows room to serve up dinner either side of the stove. Personal items are displayed in style with a combination of display cabinets with glazed centre panel doors and open shelving. Interior lighting ensures they not only have pride of place but get seen also. Perforations and a curved decorative panel add interest and charm to the open shelving. 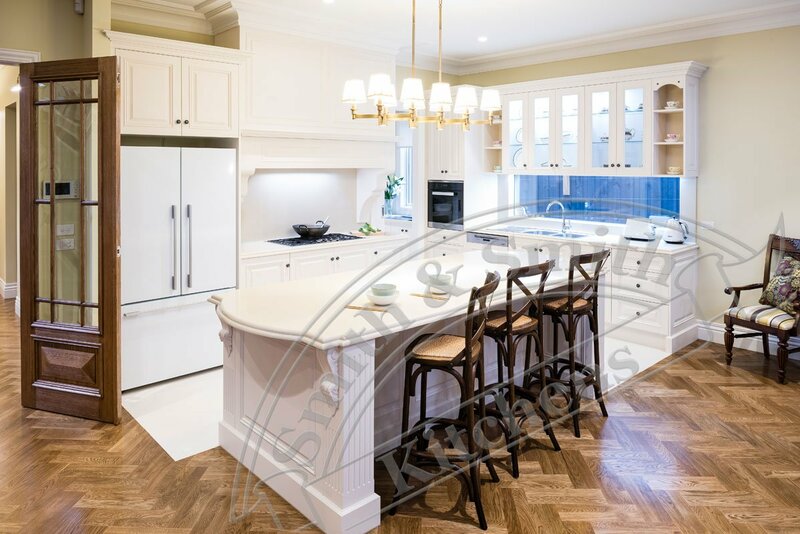 A truly built-in look is given with the addition of custom-made cornice on top of cabinetry. 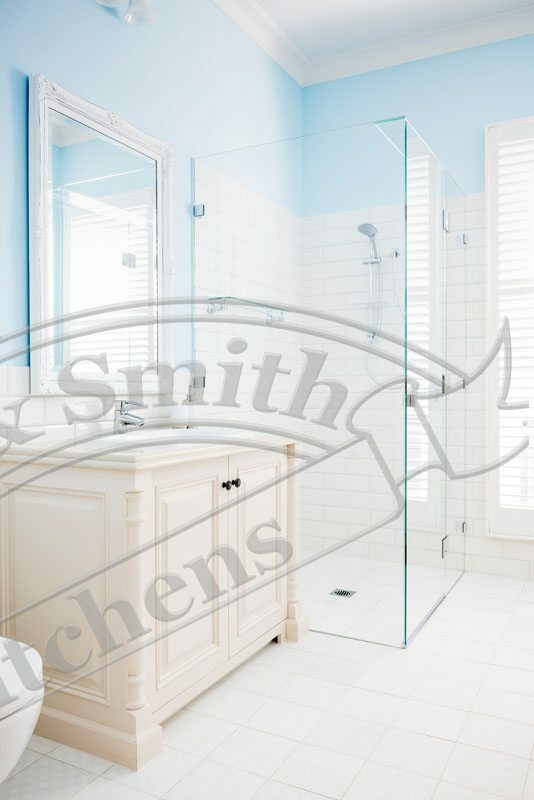 Rather than take the high end look straight through to the butler’s pantry, a more cost-effective approach has been taken for what usually lies behind closed doors. Cabinetry in here is finished with a laminate of similar colour to the two pack finish of the main kitchen. 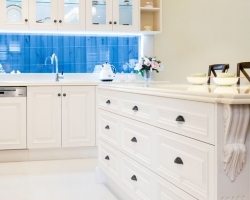 Bespoke moulded components add life to cabinetry in other areas of the home. 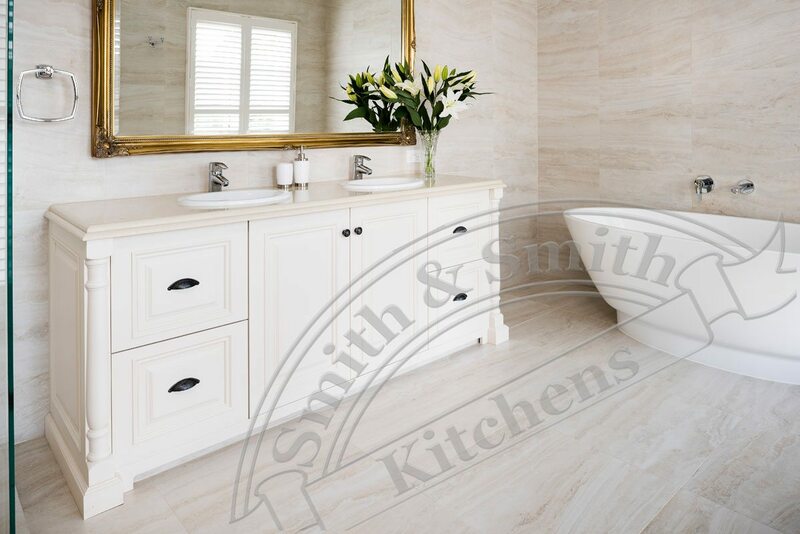 Half turned posts are used to great effect in the main bathroom vanity of this home and plinth skirting boards add weight and a solid look to the cabinets. The total effect is calming and charming. See more country style kitchens here.